We have featured a number of accessories for the iPhone here at Geeky Gadgets, the latest one is designed for iPhone users who like to take photos with their smartphone and it is called Red Pop. 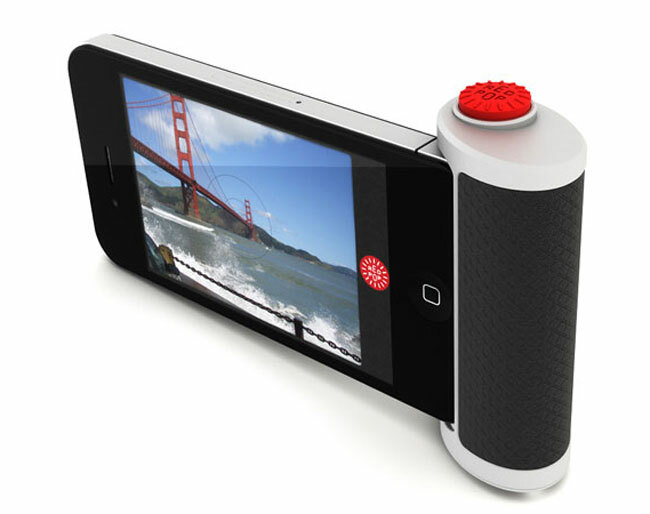 Red Pop is an add on accessory for the iPhone 4, that connects via the dock connector, and adds a finger grip and a big red shutter button to the iPhone 4, and it is designed to make the iPhone 4 feel more like a compact camera when you are taking photos. The Red Pop also comes with its own iPhone app, and it is currently a Kickstarter project, and it will cost around $75 when it goes into production. You can find out more details over at Kickstarter.